The In2 Database is a highly scalable time series database designed to capture and store massive amounts of time series data from the Internet of Things such as AMI, SCADA and other proprietary metadata sources. Our innovation is in our fast data ingestion, pre-processing, indexing, data analytics, data visualization, information sharing and extensibility. This provides high performance read and write operations, is capable of continuous data ingestion and storage of huge volumes of data, with the ability to do real-time queries. Developed specifically for efficient integration of multi-rate, multi-source time series data, In2lytics offers significant storage, performance, flexibility, and implementation cost advantages over existing solutions. Data-driven insight needed for improved planning and decision-making capabilities. Knowledge that can be gained from grid data is critical for integrated renewables planning. It provides the insight needed to increase system availability while reducing operational expenditure. With in2lytics, the utility has the data-driven insight needed for improved planning and decision-making capabilities. Utilities in Hawaii have some of the highest penetration of distributed PV. In2lytics has been deployed at three of the local utilities, and is providing a database platform that integrates volumes of disparate data from distributed resources. In2lytics combines SCADA, AMI, irradiance, PV, Wind, and other data to provide new insights into their grid. Applications built on top of this database include modeling and forecasting, behind the meter PV estimation, customer support, curtailment and analytic applications. Results from these utilities show that the knowledge gained from the data is invaluable to understanding the impact of renewables on their grid and is giving them a complete AMI to substation view. In2lytics is a brand new time series database technology with integrated tools for data analytics, data visualization, information sharing, and extensibility. The core in2lytics database is custom built and is not dependent on any existing commercial or open source database products. Developed specifically for efficient integration of multi-rate, multi-source time series data, in2lytics offers significant storage, performance, flexibility, and implementation cost advantages over existing solutions. Mr. Liu has a background in law, investment banking, private equity and government. 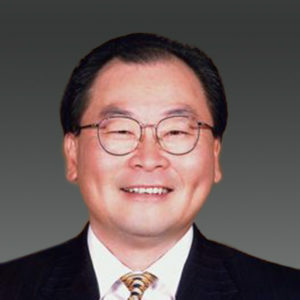 A graduate of NYU School of Law, Mr. Liu practiced merger and acquisition and corporate finance law in New York before becoming a Managing Director with Morgan Stanley & Co. 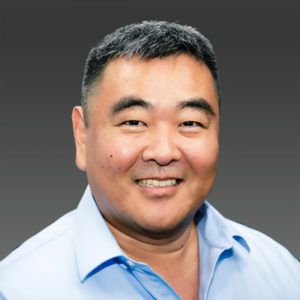 In Hawaii, Mr. Liu co-founded PacifiCap, Hawaii’s largest venture capital firm and from 2003 to 2010 served on the Cabinet of the Hawaii Governor as the Director of Business, Economic Development & Tourism and the State’s Energy Resources Coordinator. Mr. Shawver leads the team that develops in2lytics software and applies the products at customer sites. He is an expert in the areas of data systems, distributed systems, data visualization, measurement data analytics, and technical computing. He uses these core competencies in the design and development of tools and applications that leverage the increasing amounts and types of data collected by modernized electric utilities. Mr. Shawver has served as Principal Investigator and Key Team Member for numerous R&D efforts funded by the US Department of Energy and the US Navy. For The MathWorks, Inc., he was the lead developer of the Parallel Computing Toolbox 1.0 and Distributed Computing Server 1.0 products, which are now used by thousands of engineers and scientists to accelerate technical computing processes. Mr. Shawver is the inventor of three patents and is a graduate of Cornell University with a Bachelors of Science in Electrical and Computer Engineering. Ms. Koga is COO for in2lytics. With a strong background in program management, she has been leading teams to achieve projects within scope, budget and on-time. 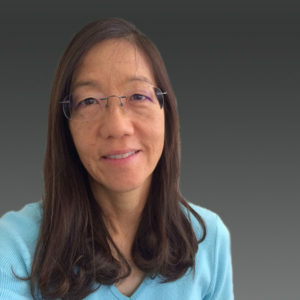 Ms. Koga has extensive professional experience in project management, hardware/software implementation, applications development and systems analysis. She is exceptional at maintaining focus on bottom line results while recommending and implementing advanced technology and business solutions to meet the client’s needs. Ms. Koga is a PMP Certified Project Management Professional and holds bachelor’s degrees in computer science and mathematics from the University of Hawaii. Nelson Kanemoto is the co-founder of in2lytics. 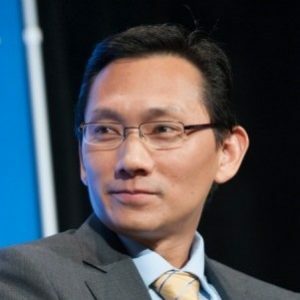 He is also the co-Founder, President, and CEO of Referentia Systems, a developer of innovative IT solutions and technologies for the Department of Defense and critical infrastructure. Since establishing Referentia in 1996, Mr. Kanemoto has directed Referentia’s growth through the development of intellectual property (IP) by meeting crucial gaps in and working closely with the critical infrastructure sectors in Hawaii as well as on the mainland. Referentia has developed IP and solutions including innovations in cyber security, network performance management, utility smart grid, healthcare cyber risk frameworks, and aircraft maintenance. Darren is a technology and finance executive with over 20 years of experience in 24 countries including such major geographies as the USA, Japan and India. His areas of expertise includes information technology (IT), media, energy efficiency, and solar. Over his career he built numerous companies including an internet service provider which was sold to a publicly traded national ISP, an educational technology company which was sold to a media conglomerate, a solar project development firm which was sold to a publicly traded solar developer, a solar technology company which was sold to a publicly traded global technology company, a software business which was sold to a private equity fund and an energy efficiency company which was sold to a private energy holdings company. He has been an inventor on 14 patents and acquired 65 patents and licenses globally. Through his businesses he has overseen the acquisition of over $2 billion in contracts, raised over $110 million in venture capital/private equity and over $100 million in project financing. 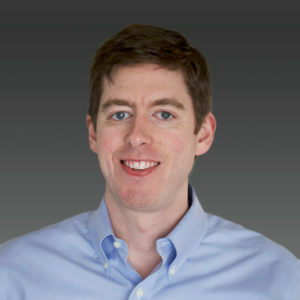 He has served in corporate executive positions leading key strategic initiatives such as preparing for an Initial Public Offering, overseeing Mergers & Acquisitions, serving as a Strategist with a Fortune 1,000 company, and has been responsible for establishing and managing strategic relationships with Global 2,000 companies. He was recognized as the SBA Young Entrepreneur of the Year in 2002, Ally of the Year by Hawaiian Electric, an Energy Pioneer by the EPA Energy Star Program and was awarded the Honua “Earth” Prize by the Blue Planet Foundation. Darren has a BA from the University of Hawaii and attended Portland State University studying Electrical Engineering and Stanford University studying Computer Science. Darren is also a Certified Energy Manager®, a licensed electrical contractor and Eagle Scout and is based in Palo Alto, CA.